At Spivak Law Firm, we provide strong defense at PFA hearings for people accused of domestic violence. In most cases, we get the PFA dismissed. Based in Pittsburgh, we routinely represent PFA defendants in Allegheny County, Westmoreland County, Beaver County, Butler County, and Washington County. Do Hire an Experienced PFA Defense Lawyer: In many Pennsylvania counties, PFA plaintiffs are entitled to a free lawyer. PFA defendants should retain a lawyer to help level the playing field. 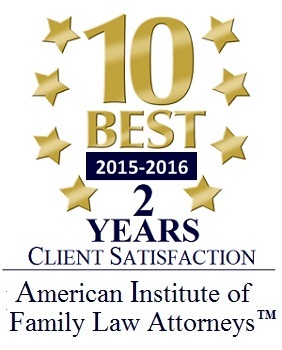 PFA is a unique area of law that combines aspects of family law and criminal defense. As one of the few law firms in the greater Pittsburgh area that routinely handles both family and criminal cases, Spivak Law Firm is uniquely qualified to help. Our strong negotiation and courtroom skills help us achieve the best outcomes. Don’t Blow Off the Hearing: Defendants who fail to appear at their PFA hearing risk getting a maximum three-year PFA. This can be devastating, as a PFA stays on the public docket and can haunt you like a criminal record. It comes up on a basic background check performed by employers, potentially costing you a job or promotion. At Spivak Law Firm, we understand that a PFA is a big deal. If you’ve been served with a PFA, we strongly encourage you to take it seriously by attending the PFA hearing. Do Bring Evidence: If you’ve been served with a PFA, your hearing is likely just about a week away. That does not leave you or your attorney much time to prepare, so you need to start thinking about your defense immediately. Physical evidence commonly introduced at PFA hearings includes copies of medical records, phone records, emails, texts, and Facebook pages. At Spivak Law Firm, we help our clients prepare for their PFA hearing by collecting – by subpoena, if necessary – all records that help present the strongest possible defense. Do Bring Witnesses: In domestic violence cases, the only eyewitnesses to the incident are often the parties themselves. Because of the “he-said, she-said” nature of domestic violence, cases are often determined based on credibility. A judge will hear testimony from both parties and make a decision largely based on who comes across as more believable. But when witnesses are present, it is important to bring them to the hearing. Because an eyewitness can be crucial in getting your PFA dropped, Spivak Law Firm works hard with clients to ensure that such witnesses appear at their PFA hearing. Don’t Violate the PFA: Violating any provision of a PFA can result in a six-month jail sentence and a $1,000 fine. Although the main function of a PFA is to restrict contact between the parties, the court order may also contain other provisions that must be followed to avoid arrest. For instance, a PFA may restrict your ability to see your kids, possess weapons, or go to your home and other places frequented by the plaintiff. At Spivak Law Firm, we carefully review the PFA with our clients to ensure that they understand the restrictions imposed by the PFA and the severe consequences of violating them.